Lagoon excursion: Traditional outrigger canoe, great for observing stings rays, black tip reef sharks, turtles. Polynesian feast on Private Motu (island): Relax under the umbrella, enjoy a glass of champagne and enjoy the delectable local cuisine. 4x4 Safari excursions in Land Rover. Polynesian Show: Performed by troupe of dancers and musicians show, fire dance. How popular is Maohi Nui? 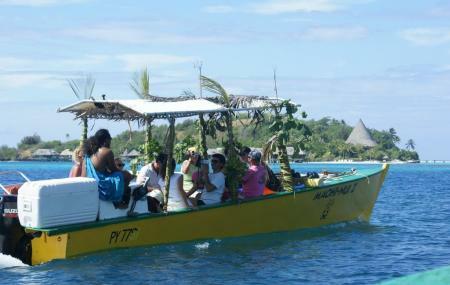 People normally club together Moana Adventure Tours - Vaitape and Raanui Tours while planning their visit to Maohi Nui. People also prefer to end their day with Maohi Nui.